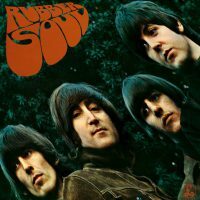 The Beatles began recording their sixth UK album, Rubber Soul, on this day at EMI Studios in London. Two sessions took place on this day. The first lasted from 2.30-7pm, and saw John Lennon's Run For Your Life recorded in five takes. The fifth take was the only complete recording, and featured Lennon on acoustic guitar, Paul McCartney playing bass, George Harrison on electric guitar and Ringo Starr playing a snare drum and tambourine. They then overdubbed lead and backing vocals onto the rhythm track, along with electric guitar parts by Lennon and Harrison. The second session of the day saw work begin on another Lennon song, Norwegian Wood (This Bird Has Flown), which at this point had the working title This Bird Has Flown. A single take of the song was recorded in a session lasting from 7-11.30pm. The Beatles spent considerable time rehearsing and arranging the song before the tapes began rolling. The backing track contained Lennon's Gibson Jumbo acoustic guitar, Harrison's sitar, McCartney's bass, and Starr tapping sticks on the rim of a snare drum and his fingers on a crash cymbal. Two vocal overdubs were then added by Lennon, as was another by McCartney, a second sitar part by Harrison, plus maracas and tambourine. 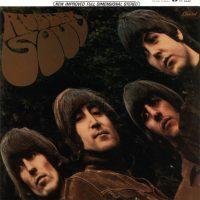 The song was remade on 21 October 1965, and this first version was eventually released on 1996's Anthology 2.